Over at Mad about Patchwork's weekly bundle Snow Squall - I love this one! The weekly curated fat quarter bundles are 20% off until Sunday night. Things are busy over at Sew Sisters. 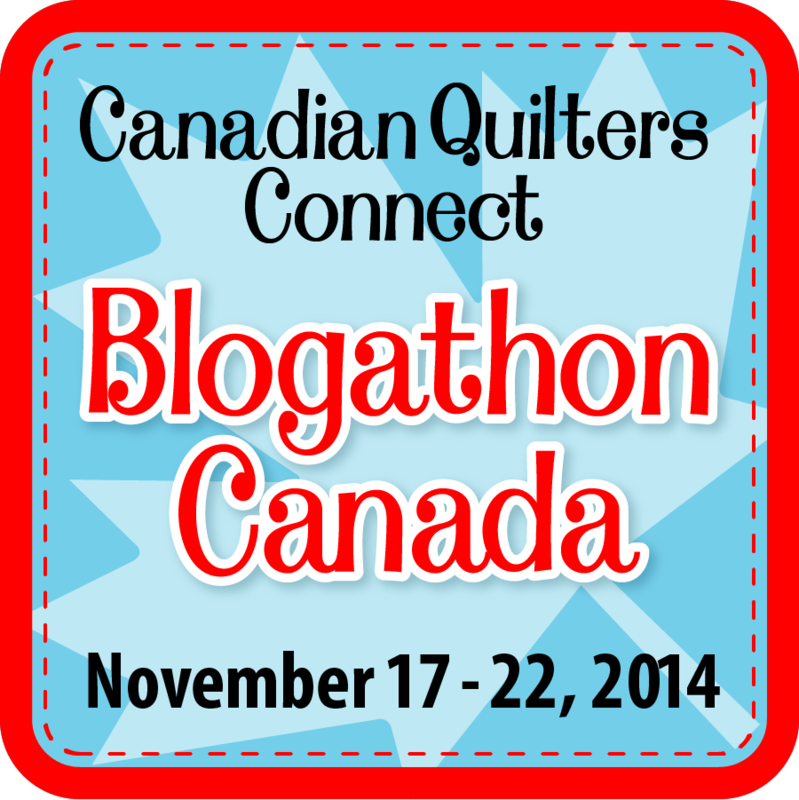 First, Blogathon Canada continues until Saturday and all the giveaways are open until Sunday night. Go here for my giveaway and links to the others. And they are starting their Stuff your Stocking event. You register for special savings offers and then buy them if you like or not, and then the order arrives in time to fill your stocking with things you love, while you focus on filling those of the rest of your family. 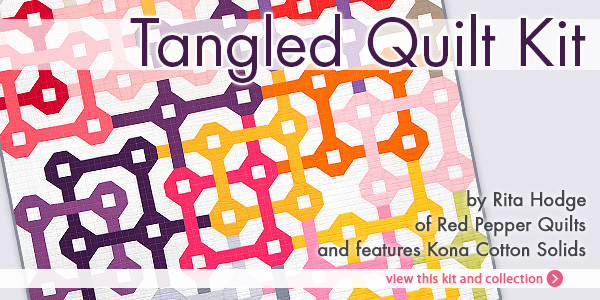 The Fat Quarter Shop has this beautiful Tangled Quilt Kit, perhaps another gift idea for a quilter you know (including you?). They are also receiving new fabric every day and have pretty much anything you might be shopping for. Massdrop has a two Catnap by Lizzy House bundles. I keep going back to try to decide if I need more of these prints as I do love them. This weekend Green Fairy Quilts has their charm packs on for 40% off with get free shipping in the USA. 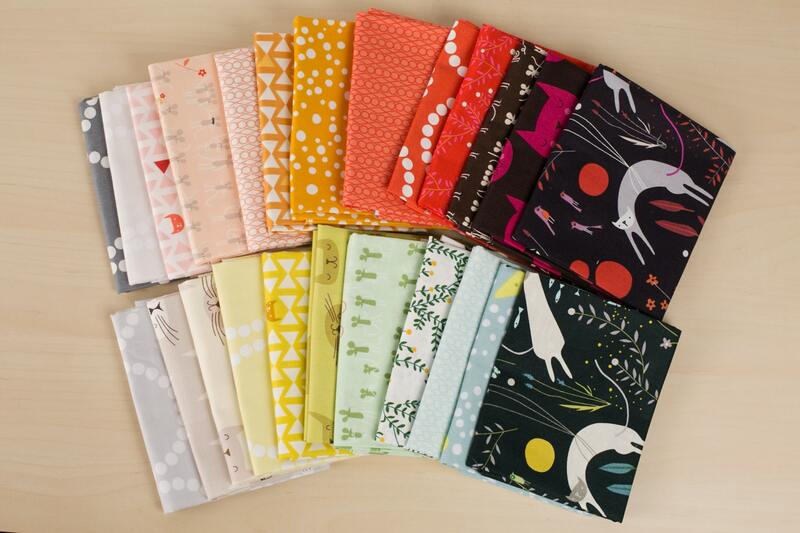 Oakshott Fabrics has put together a gift ideas up to £25 and these beautiful fat eight bundles are on it, as well as some other beautiful ideas. Fabric Spark is starting Monthly Sparks at the beginning of the year. You sign up for a specially curated bundle of fat quarters - curated by talented bloggers - which arrive monthly for all of 2015. Southern Fabric has a special daily deal, and today it is this lovely Fancy Free charm pack. You can also sign up to get an email with the deal each day. Besides beautiful fabrics, Fluffy Sheep Quilting carries a large selection of Perle Cotton, Auriful 40wt and 50wt thread and some Baker's Twine. 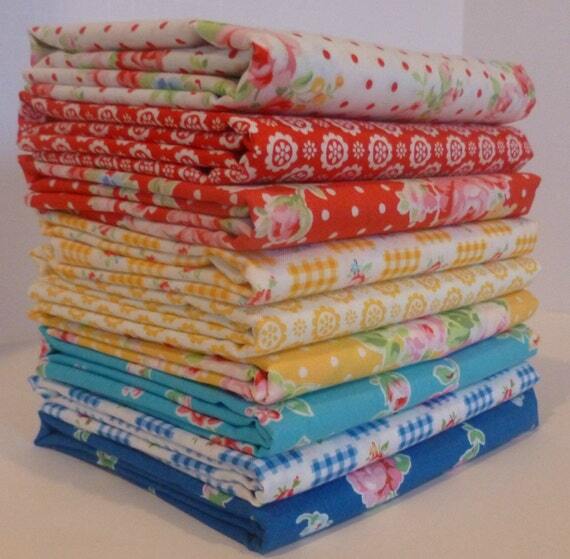 Becca over at Sew me a Song now has this beautiful Flower Sugar by Lecien bundle, and plenty of other new arrivals too. What a great post. I am going to be doing some shopping. Thanks. Love your website Il will be a frequent visitor to your site. Thanks.